It’s been a while since I posted about Tomoe. It’s been a pretty busy month, and she’s been developing quite quickly, especially with talking. We want her to speak both English and Japanese, though I’d have to say that Japanese is winning right now. Koko de – She’s asking me to come here. Dame – She pronounces it “mame” but it means “no” or “don’t.” She uses it after I tell her not to touch something. I think the hard thing is getting a balance between the languages. I speak to her in English all the time, though I understand what she says in her simple Japanese. She speaks about 80% in Japanese and only 20% in English. Although I always speak to her in English, she usually responds with Japanese, even though she understands what I’m saying. But one situation a couple nights ago had me really glad that she can talk to us now. 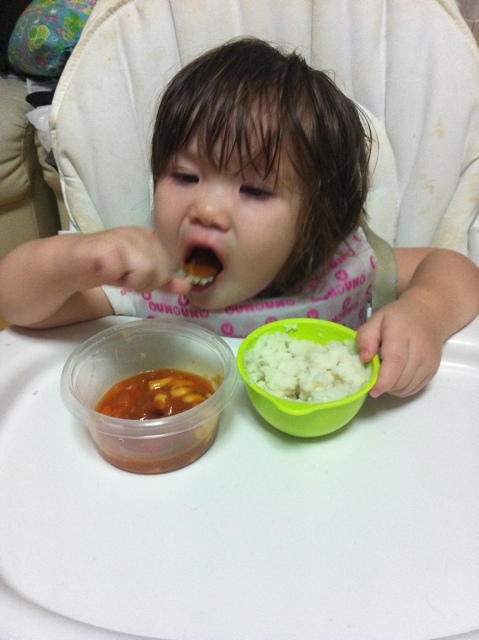 She had a high fever all day at 39 degrees, and was very uncomfortable at night. She kept touching her ears and said “koko itai.” She was telling me that her ears hurt. Yesterday, I took her to the clinic with a nursery, and the doctor confirmed she had a bit of an ear infection. Not all of her communication is verbal. She uses hand gestures for come here quite often. She also herds me around. She’ll grab my leg and push me to where she wants me to go. When I put my computer away, she points to where I put it, trying to be helpful. But one of the biggest developments is that she tells us when she’s pooping. She crouches down, grunts, and strains. So guess what? She’s starting potty training! We got her a toilet seat for the toilet, and we’ll be trying to get her to use it. I hope she’s a fast learner with pooping. 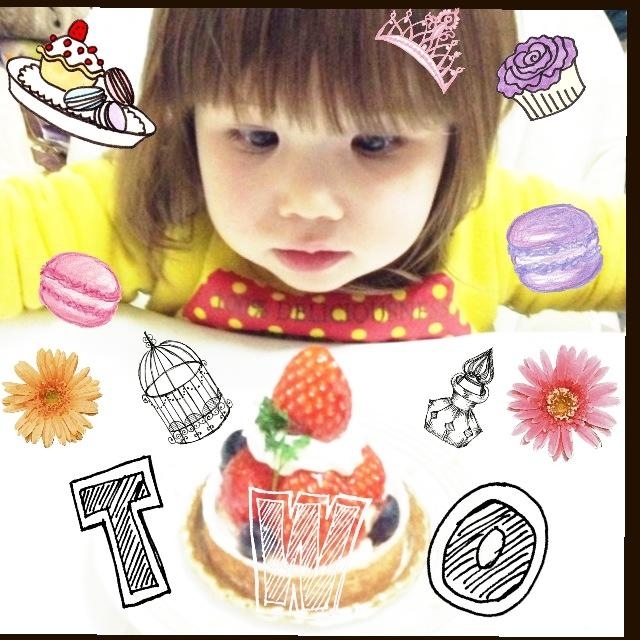 And finally, a happy 21 month birthday to Tomoe tomorrow! The skills this little girl has keep growing. It’s amazing to watch her develop. 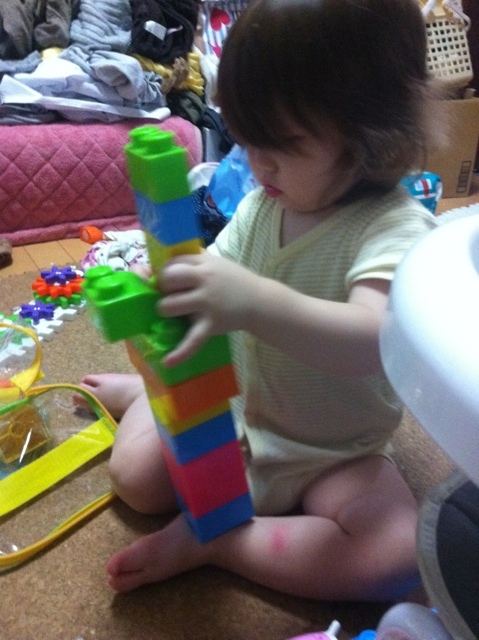 She can build a tower with her blocks. She’s getting really good with her hands. 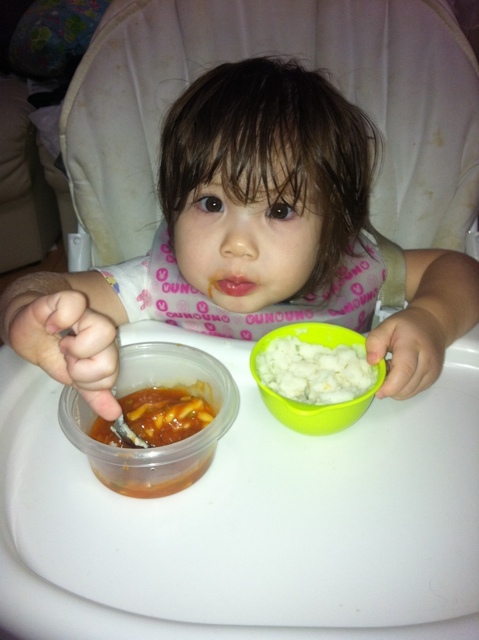 But a couple days ago, she showed us just how cute she can be. Tomoe was in an incredibly good mood for much of the day, and it started out with a shower. I gave her a shower, which she loves. She plays with the water, she washes her hands with the soap, and she behaves very well. 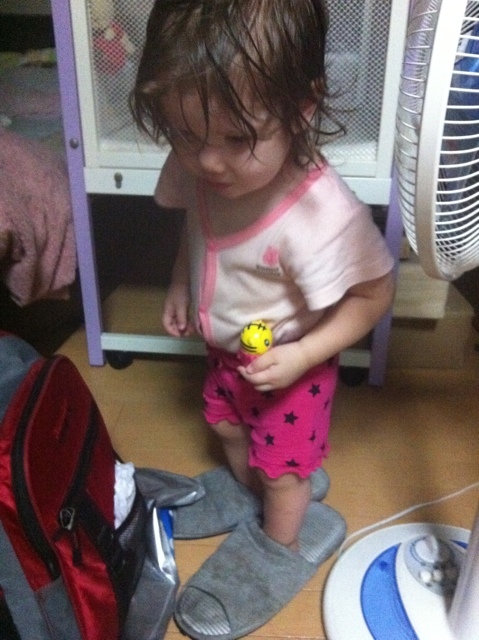 After the shower, she decided she wanted to wear my slippers. Her feet are a bit too small. I later went out with her to pick up my wife from the bus stop near the local Ito Yokado, and we went out for some sushi. 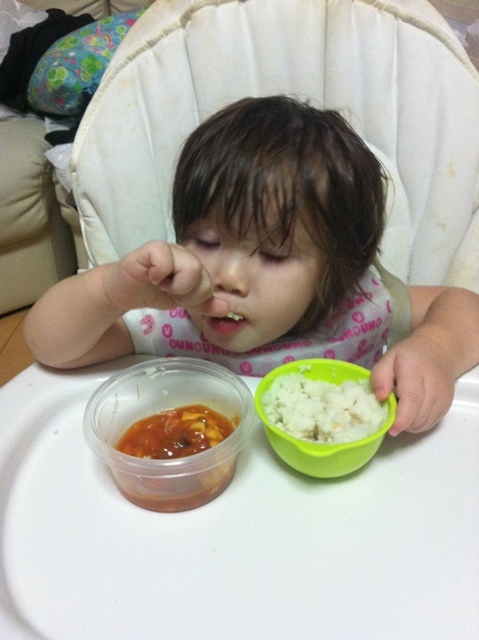 Tomoe doesn’t yet eat raw fish, so she ate mainly just rice and French fries, as well as drank some apple juice. She not only fed the fries to herself, but she also offered them to my wife and I. She was feeding us! She loved it. We gave her some ketchup, but instead of eating the fries with the ketchup, she kept licking it off the potatoes. After eating, we walked to the drug store to get a few things we needed. On the way, she started singing and dancing. She moved her arms kind of like the Go-go, but it was part of a dance that she learned at her nursery. She did it for about 10 straight minutes. It was an overload of cuteness! After shopping, Tomoe wanted to carry some of the things we bought, so we gave her the tissues. She was so happy to help us! Unfortunately, they weren’t that easy for her to carry all the way, and she kept dropping it. But she really wanted to carry it. In the end, we carried it, and she complained. This morning, after getting her ready to go to the nursery, the driver picking her up finally arrived. He was a bit later than usual. Instead of carrying Tomoe out, I let her walk out to the car herself. When she saw him and the car, she ran to him and he picked her up, putting her in the car. She loves the nursery. And I think she learns a lot there. Today’s new words include: mugicha (barley tea in Japanese) and eye (I was pointing out an eye, and she repeated me).